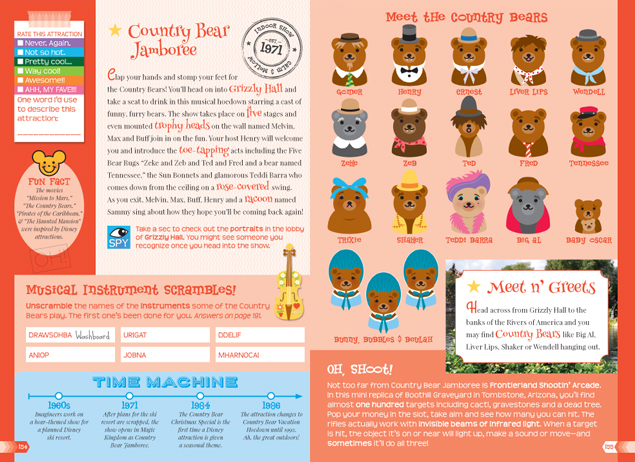 Getting people, especially children, to fall in love with visiting Disney theme parks is easy. However, turning them into a true fanatic where they soak in all the details takes a little more work. This is what I love about the “Going to Guides” by Shannon Laskey who just released their latest title “Going To Magic Kingdom” in time for the holiday season. To be fair, there are tons of books out there about “insider info” for Disney Parks. However, 99% of those books are completely text based and feature next to no graphic design. 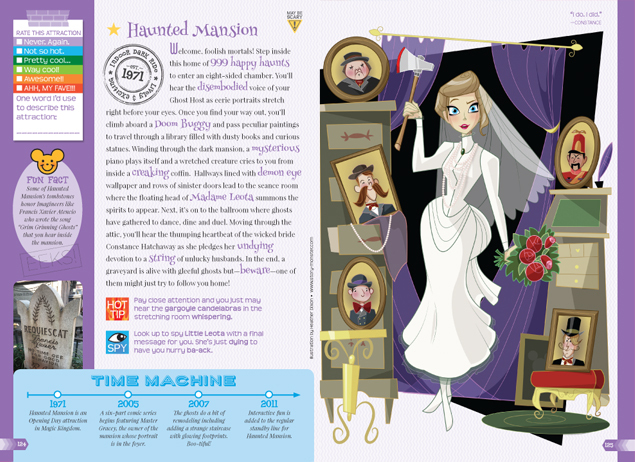 “Going To Magic Kingdom” is a completely full-color book that is brilliantly illustrated to keep the reader engaged. This is a book designed to keep young readers interested with amazing photography, clever graphic design and tons of insider information. The idea is to keep the reader engaged with the details of a Disney Park before, during and even after their visit to the Magic Kingdom. I recently got a chance to chat with Shannon Laskey, the author of “Going To Magic Kingdom” about her experiences writing the third book in the “Going To ” series. JY: What was different about this guide versus the ones based on the west coast? SL: My first book is only about Disneyland. I mention Disney California Adventure in it but don’t cover it in depth. Instead, I devoted a whole second book to it. This time I included a chapter in the back that talks about the REST of the Resort. It’s very brief and just an overview but if you’re going to WDW for the first time, it’s going to give you the perfect base of knowledge to get you ready to explore. JY: Was it a help or handicap being less familiar with Walt Disney World? SL: I think it was actually a big help. I was basically my audience. When I first started researching I hadn’t been to WDW since the 1990s and then only once! So there I was planning my trip and feeling overwhelmed trying to learn about MagicBands and how the FastPass works and how do you get around this massive place, etc. I personally went through the whole process of basically being a first time visitor. 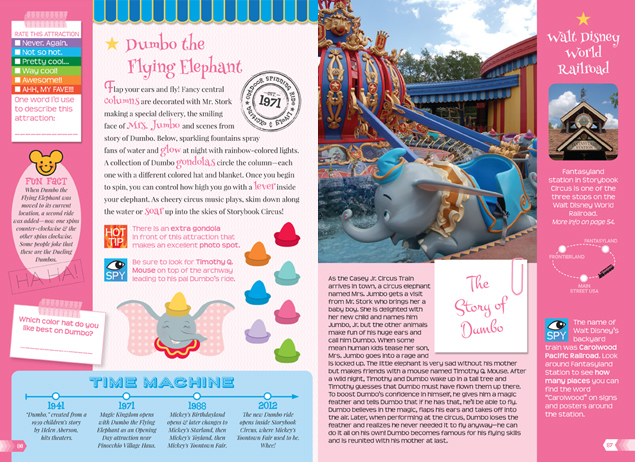 JY: Give me your two favorite pieces of info found in “Going To Magic Kingdom” that you can share with readers. SL: Tough to pick just two! I’ll pick the sidebar about the mosaics in Cinderella Castle because they are my favorite thing in the Magic Kingdom. This breathtaking artwork took two years to make from over 300,000 pieces of colorful Italian glass, sterling silver, and 14-karat gold. They are absolutely AMAZING!!! I also love the sidebar about Roy Disney and how he set aside his retirement to get Walt Disney World finished after Walt died. That one brings tears to my eyes – especially when I think of how once it opened, Roy died so shortly afterward himself. I dedicated the book to Walt and Roy’s memories because the Magic Kingdom wouldn’t be what it is without both of them. I was so thrilled to be able to use that photo of Walt and Roy goofing around on a beach on the dedication page. That photo broke our non-existent budget but it was so worth it to me! If you’re looking for the perfect gift for that young Disney fan in your life that you want to get hooked on the insider stories of the Magic Kingdom, I can’t recommend this book enough. I’m so proud to have “Going To Magic Kingdom” in my Disney Parks books collection and look forward to their next one in the series! You can purchase the book by clicking the button above or following this link. Speaking of purchases, ’tis the season for holiday shopping. If you’re doing any shopping on Amazon this holiday season, click on any of the Amazon links at Theme Park University before you do your holiday shopping or add this link to your bookmark list. This costs you NOTHING extra, but it helps support Theme Park University and we greatly appreciate it. This entry was posted in Disney and tagged Disney Book, Disney parks, Going To Magic Kingdom, Magic Kingdom, Theme Park Book. Bookmark the permalink. Trackbacks are closed, but you can post a comment.